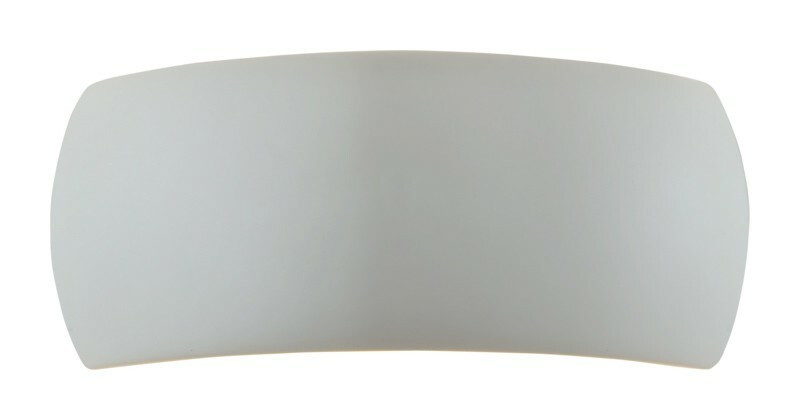 A shapely and sophisticated wall-light that would accentuate many areas of your home or business. With its white plaster finish and understated contemporary look, this wall-light would be an ideal choice for a bedroom, hallway or living space. Fitting effortlessly into any style of interior decoration, this elegant light piece casts a radiant glow both above and below and the perfect light for gentle relaxation. This wall-light uses a 60W E27 lamp and may be used in conjunction with a dimmer.